Sterman Masser Potato Farms - Basin Gold Cooperative, Inc.
Basin Gold Cooperative, Inc. is a group of five produce companies in Washington and Oregon that specialize in the sales and marketing of fresh potatoes and onions. Established in 1994, the Cooperative was formed to provide customers with a quality source of produce on a year-round basis. Each co-op member is a multi-generational grower of high-quality fresh potatoes and onions. Basin Gold headquarters are located in Pasco, WA, home to a thriving agriculture industry that is vital to the nation's potato and onion production. 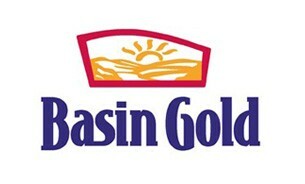 Basin Gold is also a partner-owner in Fresh Solution Farms, LLC a state-of-the-art growing, storage, packing, and shipping facility built in 2008 in White Pigeon, MI that allows the Network Partners to better serve their Midwest customers.